If you are going to change or repair the floor, you need to think about the substrate. In any case, this is exactly what the manufacturers of laminated coatings say. And in order to make it easier for you to decide which substrate to choose under the laminate, we have collected in this material all the information and recommendations of the manufacturers of floorboard and laminate. Who, if not them, is better to know which material is more suitable for the impeccable service of their products, and also (which is very important) to preserve the guarantee. Any manufacturer of parquet or laminate to the question of the substrate immediately answers that without it the flooring is better do not stack. After all, it is a damper, so necessary when operating the floor. At the same time, several more tasks are assigned to it: to warm the floor, to protect it from moisture penetration, to level small defects of its base. And yet it is the damper function that is dominant. Let us examine in more detail what it is. The word "damper" comes from German. The verb "dämpfen" is translated as "drown out", respectively, "Dämpfer" is a silencer (shock absorber), designed to dampen vibrations that occur during the operation of any systems or mechanisms. In the case of a laminated coating, such mechanisms are lock joints. The substrate drowns out vibrations caused by the person’s steps on the floor, thereby prolonging the life of the locks. In addition, the sound vibrations (extraneous noise) are also damped, which are subdivided into two types: transmitted noise and reflected noise. The passing noise is the sound that passes into the apartment of the lower neighbors. The reflected noise is the sound when walking on the floor, heard in your own apartment. 1. Laminate; 2. Substrate; 3. 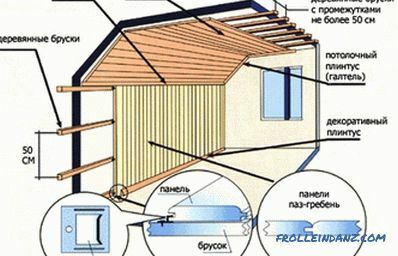 Vapor barrier; 4. Screed; 5. Waterproofing; 6. Concrete slab. Companies producing floorboard and laminate reserve the right to reject any claims from customers who used the "wrong" substrate . That is, one that was not tested in this company. And only by acquiring a proprietary substrate, one can expect that the manufacturer will respond to the claim to the quality of the laminate. The exceptions are Portuguese cork substrate and extruded polystyrene foam - manufacturers of laminated coatings are sympathetic to them. And now a couple of words about how thick to choose the substrate for the laminate. 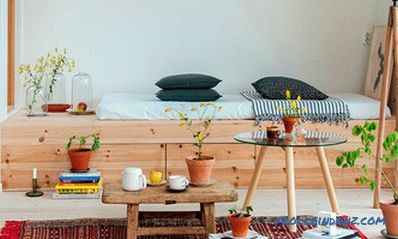 That buyer of the laminated flooring or the floorboard, who applied the substrate thicker than 3 mm, can then regret bitterly. After all, if subsequently the flooring quickly fails, the claims are not accepted. It is impossible to combine substrates of different types. The reason is the same (the rules of operation are not followed). As already mentioned, the substrate serves as a damper. This means that it can even slightly align the uneven base. In some cases, manufacturers aim to combat irregularities, producing special substrates for this. Moreover, if you do not want to lose the warranty on the laminate or parquet flooring, you can only level the floor with a proprietary substrate. As already mentioned, the warranty will disappear even if you want to use a thicker (more than 3 mm) substrate than you need for a more equalizing effect. You can not put it in two or three layers, as well as to combine. For all this, the manufacturer punishes the deprivation of the warranty on your product. Often, in the advertisement of substrate manufacturers you can see or hear that their products have excellent waterproofing properties. However, manufacturers of laminate, apparently, do not really trust it. They require without fail that the concrete base be covered with plastic wrap (not thinner than 200 microns). The sanction for failing to comply with this condition is the same - void the warranty. Therefore, it is worth thinking not only about which substrate to choose for the laminate, but also about how to properly lay it. Experienced master builders in some cases advise you not to lay down the film. They claim that under it the mold and fungus quickly start up. This is indeed possible, but only when the concrete has not dried sufficiently after the construction of the house, and the flooring is already laid. And to check whether the concrete base is dry is very simple. You need to take a piece of film meter by meter, and then put it on concrete, leaving it overnight. On the entire perimeter we glue it with scotch tape so that the moisture does not come out. If in the morning the film from the inside is left dry, then the concrete is dry. You can safely put and film, and the substrate - the mold with the fungus will not. Many floor coating companies use their own methods to protect their substrates from moisture. 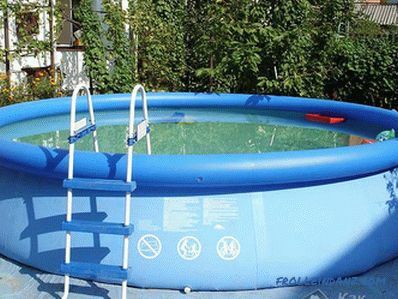 However, this does not invalidate the rules for laying polyethylene film. Only the manufacturer itself can allow the use of branded substrate without additional waterproofing. Most of the substrates have a structure that promotes low thermal conductivity. Therefore, they keep warm well, but no more. Naturally, they cannot serve as floor heaters. Usually in high-rise buildings, the apartment near the neighbors is heated, so it is not at all necessary to defend with insulation. And thinking about which substrate to choose under the floorboard or laminated flooring, its heat-insulating abilities should not be thought of in the first place. This is the most budget option. Rather, such material can be called wrapping, since its density is 25 kilograms per cubic meter (for comparison, the density of cork is 220 kilograms per cubic meter). The polyethylene substrate is suitable for cheap laminate of class 21 - both materials do not last long. 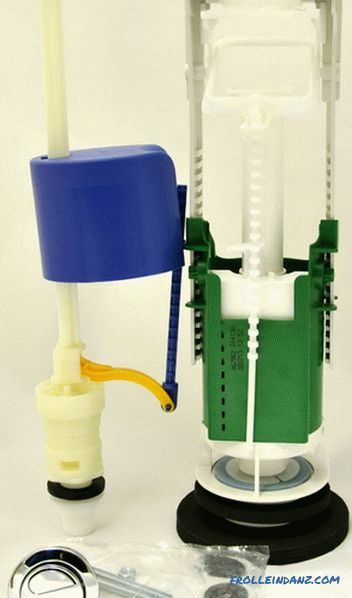 After 2 - 3 years, the polyethylene product wears out, and there is no sense from it. However, class 21 laminate is no longer produced, so this substrate is used when the object needs to be built quickly and inexpensively, and quality requirements are minimized. If you ask the manufacturers of floor coverings, they will say that with limited means it’s better to take ordinary cardboard for the substrate. It will be more durable than polyethylene. 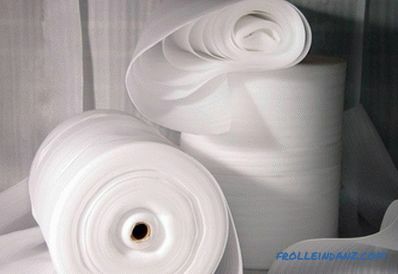 However, damping qualities in a couple of years will disappear both in the cardboard and in the polyethylene substrate. And the locks will quickly deteriorate as a result. As for the warranty on the floor, then it will certainly be lost - at least, for most brands. 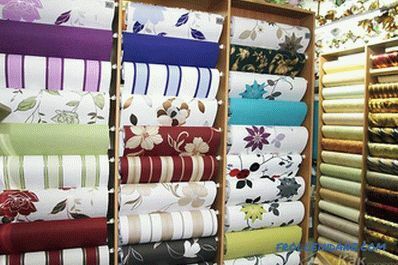 Mainly the manufacturers of laminate, products made from this material are welcome. If you need a not very expensive, but quite high-quality substrate, then EPS is exactly what you need. It will be possible to significantly muffle the transmitted and reflected noises, and at the same time level the base of the floor. The only condition - the irregularities should not be more than 1.5 - 2 millimeters. And yet: such a substrate should not be thicker than 3 mm - excessive thickness makes it too soft. If the substrate is too thick, the floor will become artificially uneven, affecting the locks. By virtue of their design, they well withstand only horizontal loads. And when the surface will spring, bending under the steps, the castle connections will quickly loosen. Ugly cracks will arise, and the laminate will begin to creak when walking on it, and sometimes even rumble. When buying a polystyrene foam backing for a small leveling of the floor, you can get a good result. But if this product is not branded, then it has not been tested by the manufacturer of the flooring used. And he can reasonably refuse if he makes a complaint about the damaged locks. Indeed, many enterprises make European EPPS substrates: European, Russian, Chinese. And not always the stated parameters correspond to reality. So the claim should be presented to the person who released such a poor-quality substrate. Therefore, when buying products from extruded polystyrene foam, you should prefer reliable brands - for example, Isopolins or VTM. They have been used for a long time and successfully, absorbing noise, retaining heat and leveling the floor even better than cork. Unfortunately, the substrate of EPPS gradually collapses, and its damping characteristics deteriorate significantly, and then disappear altogether. When two or three years pass, all the above characteristics can no longer be compared with the characteristics of a traffic jam. After six to ten years of operation, the parameters of the substrate become completely uncompetitive. And one more big minus of EPS is worth noting. This material is flammable, and when burned it emits dangerous toxins. Surely many people remember how in 2009 a fire at the Lame Horse club claimed many lives. Do not be the interior styrofoam, the consequences would not be so sad. Instantly spreading fire and poisonous gases - a terrible force. Any laminate manufacturer will say that cork is the best substrate, because it is not deformed at all. Recall how quickly a cork pulled out of a bottle of aged wine returns form. And she was squeezed neck for decades. So is the cork substrate - if it shrinks a little over the years of use, then no more than one or two percent. And her density is excellent, so that the lock joints do not loosen and do not wear out.As for the small irregularities of the base, they are also eliminated by means of a flexible tube. The heat insulator of this material is also good - we give one more example from everyday life. If you put a bottle cap under the handle of the lid of the pan, you can not be afraid of burns. Many housewives use this trick. However, it is worth mentioning the lack of cork substrate - a weak ability to align. Therefore, where floor irregularities exceed 2 mm by 2 m, it is not recommended to use it without preliminary surface treatment. And as a leveling material, it is not suitable at all. Recall that to maintain the manufacturer's warranty, the thickness of the cork substrate should be no more than 3 mm. There are exceptions, but for this you need to have official permission from the manufacturer. Note that everything mentioned above applies only to the Portuguese cork substrate - that is what manufacturers of parquet and laminate flooring most respect for. However, there is still a Chinese cork backing, which you can often hear negative reviews about. And it is inconvenient to lay it, and during operation it behaves not in the best way. They say that it can even spoil the flooring. One plus is that this material is very cheap. But floorboard and laminate manufacturers usually have an unflattering opinion about the Chinese substrate. Naturally - the Portuguese do make their substrate from natural corkwood, which grows in this country. And the Chinese have to look for other options, cheaper. After all, it is expensive to transport fine quality cork, and it will cost a lot of money. This is a Finnish notion - a three-millimeter substrate consists of three layers. The two outer layers are polyethylene, and the inner layer is polystyrene foam granules. Thanks to this design, the substrate is able to remove excess moisture from the concrete base. So the fungus or mold will not have a chance. In addition, the technical parameters of this product is very good. But here everything comes up against the constant demand of flooring manufacturers - covering the concrete base with a 200 micron thick film. Do not apply this film only in one case - when you buy a proprietary substrate with a waterproof coating. So it turns out that Tuplex cannot adequately express itself. And this material is expensive, so many people prefer to use not it, but extruded polystyrene foam. After all, according to the other characteristics, it is no worse than Tuplex. 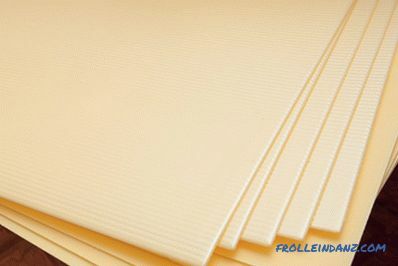 The same principle is used as in the previous substrate, but the design and composition are slightly different - not polyethylene, but bitumen-impregnated paper is used here. A layer of crumbs from cork pieces is applied on top. This Russian material is sold in the form of rolls, rolled inside out. 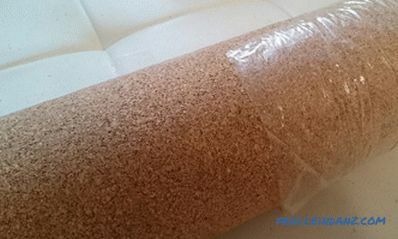 When rolling the substrate, it is necessary to turn it over, which is not very convenient, besides the cork crumb crumbles, and the paper sometimes breaks. Polyethylene film with a thickness of 200 microns down will also have to be laid - otherwise the manufacturer will deprive the warranty. A softwood tree is used to make this substrate. It turns out enough quality material. However, the manufacturer slightly embellishes the capabilities of its substrate. Yet it can not compete with cork products for elasticity and ability to recover form. 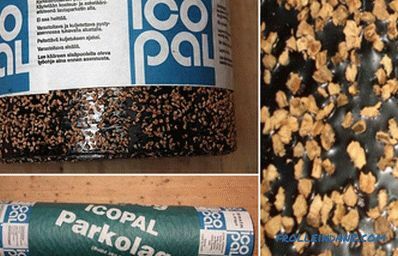 For example, a centimeter-thick cork substrate is easily twisted into a roll, but with Isoplat (even 2 times thinner) this cannot be done. However, this does not prevent the pressed coniferous substrate from being completely worthy of the attention of the consumer. 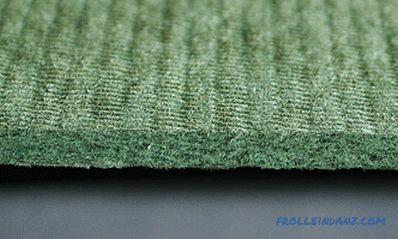 But Isoplates are produced with a minimum thickness of 5 mm, so there’s no guarantee about the manufacturer of the floorboard or laminate (we remember the maximum allowable thickness is 3 mm). Now you know how to choose a substrate for laminate. After reviewing the most popular products, you can decide for yourself what exactly fits better. The main two points are the evenness of the base and the amount you are willing to spend on repairs.